School starts early this summer as we will be launching the HootSuite Pro-Certified training and testing on May 1st. A number of great individuals and brand representatives have already enrolled in class, and we wanted to give you a checklist of what you will need for the training to prepare yourself for testing. First off, What is HootSuite University? The purpose of the HootSuite University is to give people a place to become more proficient with using HootSuite. There are a number of individuals using it, along with agencies, PR firms, and other companies who manage clients using the HootSuite dashboard. The University will include a HootSuite Pro-Certified training session that will include 4 modules with a test at the end. What do the modules include? Module 4. Advanced tools – Advanced strategies, shortening links, tracking, adding files, rss, reply to all, drafts, scheduled tweets, etc. Once you complete the training for this, a test will appear and it will be pass/fail. The test will be a number of multiple choice and yes/no questions. If you pass you will then become added to a directory of HootSuite Pro-Certified professionals. What will certification do for you? It will let others know that you understand HootSuite to it’s fullest potential, give you more credibility, and give you a badge of acknowledgment that you have gone through the training necessary to fully use HootSuite for multiple purposes. What else is included in the HootSuite University? Each month will include ongoing education with best practices using social media sites like Twitter, Facebook, LinkedIn, YouTube, and include training on blogging, email marketing, and other tools that will help you with your social media and online marketing efforts. Monthly webinars with top brands or company using HootSuite will be conducted where we will be asking them questions on how they best use HootSuite and social media to market their message, connect with their current and potential customers, and build their business. Students will also have access to a members only forum where they can connect with fellow classmates, ask important questions, find the best resources online, and engage with a community of those who “get it”. How long will graduates stay in the directory? Each member who passes the test will be added to a Premium HootSuite Members Pro-Certified directory. For each month they stay active in the University and stay up to date on the current training and education, they will stay in the Premium directory. 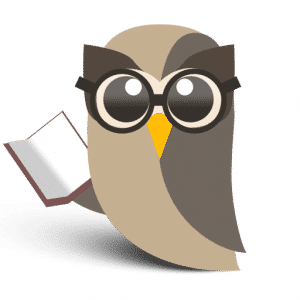 If a member discontinues their enrollment in the Hootsuite University they will be moved from the active member directory to an inactive members directory so others know they have passed the HootSuite Pro-Certified training, but are not undertaking ongoing learning. This will let companies looking to hire someone with the online marketing and social media work a place to see if those who have passed the training are still getting up-to-date education on the latest social media best practices. We already have a number of consultants, agencies, and brands who have signed up for the University, and early enrollment ends May 1st so make sure you sign up before then to receive a discount on your education. Unfortunately, a company can’t sign up all of their employees under one account, as each individual needs to have their own personal profile in order to share their unique voice in the forum and take the test under their own name. So each employee will need to enroll separately. However, we will be adding company names to the directory as well, and those who have more members of the company that have passed the testing will rank higher on the list, and will have the number of employees who have completed the training next to that company name. So the more who join from each company the better. We look forward to seeing you on May 1st as that is the day the best practices training, along with the HootSuite Pro-Certified Modules and Testing will be available as well. See you in class!